Free resources and materials for anyone teaching children with dyslexia or other reading difficulties. Reading Resource.net offers free resources and materials for teachers, parents, or anyone interested in teaching children with dyslexia and other reading difficulties. The site was developed by a certified speech and language pathologist and an early childhood reading teacher. The site is well-organized and easily navigated. All pages have a navigation menu in the left sidebar that contains links to the main areas of the site. Any parent with a child who is having difficulty learning to read will find plenty of helpful resources and materials here. 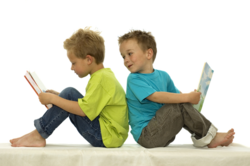 The site provides a wealth of activities and suggestions for helping children learn to read. First-time visitors might want to start with the explanation of what dyslexia really is and then proceed to the symptoms and causes. Next is an article explaining the necessary reading skills: phonemic awareness (the ability to hear and manipulate sounds); alphabetic principle (understanding that letters represent sounds); reading fluency (the ability to read text accurately, quickly, and with appropriate expression); vocabulary (words we must know to communicate effectively); and comprehension (the ability to extract meaning from text). Sections for each of those skills are filled with activities for teachers and parents to use at home or school. Included is a discussion of DIBELS (Dynamic Indicators of Basic Early Literacy Skills), which can be used to screen children who might be at risk for literacy problems.